It is going to go off in London this Saturday night. So many of the planet’s funkiest men are going to be under the same roof at the Big Chill House that the funk is bound to overflow into the streets! Bombstrikes are taking over the Kings Cross venue, partly to celebrate the launch of Featurecast’s new album, and partly just to have a damn good time . . . . and it is FREE ENTRY this Saturday 31st March! 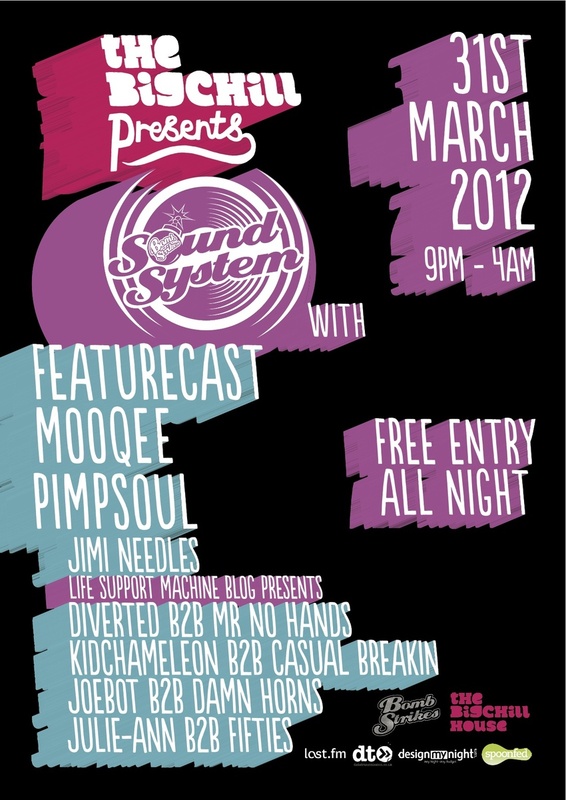 Room 2 is hosted by the beautifully bassy guys from the Life Support Machine Blog. Bombstrikes Label manager (and Funk and Filth favourite) Mooqee is also headlining on the night, alongside Featurecast and the seriously talented Pimpsoul, but he took a few minutes away from blowing up balloons and positioning party poppers for Saturday night to answer some of life’s big questions, exclusively for Funk and Filth. Here are some words of extreme Mooqeeness, and also some thumping free downloads from the boys . . .
You guys get to DJ all over the world, to crowds of all sizes. What’s your favourite venue or event to play, and what makes it so special? I know a lot of people say it but the Fractal Forest at Shambhala in Canada is an amazing place to play. There is something special about the setting in the middle of a woods in the middle of nowhere with an unbelievable up for it crowd and great production. I think the remoteness adds to the party as well as everyone just goes with it. In fact Canada in general is a pretty special place. The other show I always look forward to is in the UK at a festival called Beatherder....which is again in the woods (I guess I’m becoming a woods specialist...I'll be playing a teddy bear picnic next!). We (as Sugarbeat) host a stage in the trees there and the festival is completely non corporate and again an amazing setting and crowd. Who is your favourite DJ / Producer right now? Is there a particular track that gets your sets flying at the moment? Oh favourite Dj is always a tough one. There are some amazing ones out there at the moment both established and up and coming. The Utah Saints always put on a great show as does A.skillz. From a different tip I always really like what Justin Robertson does, which may surprise some. As for biggest track at the moment, this will sound like a shameless plug but it is genuinely true, the Tantrum Desire mix of mine & Pimpsoul's upcoming Feeling good release just smashes it . . . he knocked that remix out of the park! 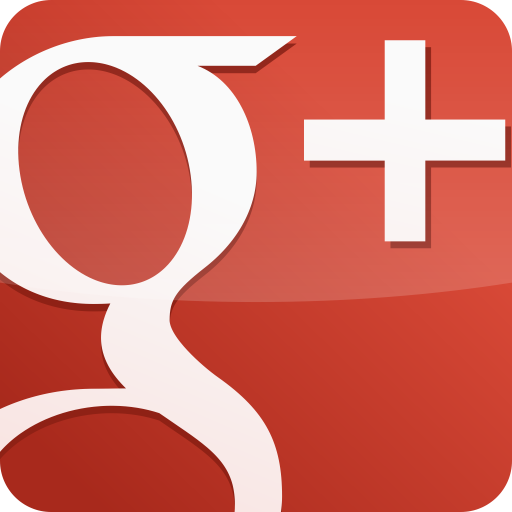 If you had one piece of advice for upcoming DJs or producers who might want to emulate you, what would it be? Work at it and have a good quality control but try to take the pressure off yourselves and make it fun ... do what you do and if people like it great, if they don’t as least you're having fun. The other things is, try and get an understanding of all sides of the music business. Not many can make it just doing DJing these days, have a go at producing or look into putting your stuff out. It all feeds into itself and helps. What other big things can we expect from the Bombstrikes guys in 2012? Can you let us in on any secrets? We're looking to do some more Soundsytem nights across the year so that we can get out to more people. We also have some great releases lined up from our artists; Neon Steve, Pimpsoul, myself and also from a new act called Herbgrinder . . . watch this space. We're also looking at a Bombstrikes compilation later in the year. Plus a regular podcast. Yep, we're gonna be busy. And finally, the most important question of all . 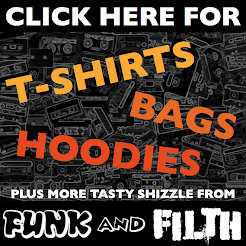 . . Funk or Filth . . . . musically which way are you feeling right now? I think i have a foot in either camp.. I’m known for my funk I guess, but I’m just finishing off my first ever Drum and Bass track so I do like a bit of filth in my funk sandwich. Aaron Sigmon is one of America’s finest: headlining events, slaving away in the studio to produce breaks monsters, or collaborating alongside transatlantic legends like DJ Fixx, Keith MacKenzie and DJ Icey. He’s been in Miami this week, laying down his floor thumping thing at WMC (where you’d also expect to see the likes of DJ Fresh, Paul Oakenfold and a million or so others), but he’s found enough time to answer some of life's biggest questions, exclusively for Funk and Filth. Check out what Aaron has to say below, and download his free WMC 2012 Mixtape, which includes bangers from Deekline, Skrillex, Swedish House Mafia, Figure and some of his own remixes, it’s pretty special. “Future Sound of Breaks” at WMC is my favorite event to play! I’ve played it every year since 2006 (with exception of 2010 when I took a break from dj’ing), and that event gets bigger and better every year! What’s the one tune that you always have in your back pocket, ready to drop into a set to lift the roof? Keith Mackenzie’s “Sporty-O vs R3hab - Guestlist Mashup” gets the crowd going every time! A couple others would have to be my Bass Mix of Calvin Harris’s “Awooga” and my ReRub of DJ Fresh’s “Louder”. 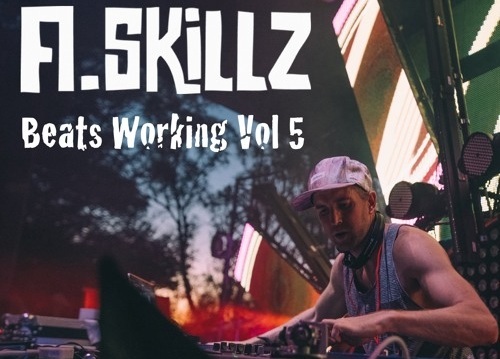 You can do a back-to-back set with any DJ in the world. Who would you pick? I’ve always loved opening up for DJ Icey, but I would absolutely love to open for Krafty Kuts! Krafty is an amazing DJ, and I had the pleasure of seeing him perform twice this past week at WMC. What else is on the cards for Mr Aaron Sigmon in 2012? 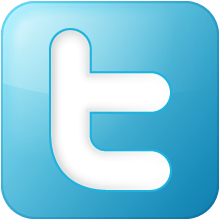 What can we expect to hear and where can we expect to see you? Planning any trips to Europe or the UK? I have some new original house & breaks tunes I’m about to release, as well as more free rubs, edits, and mashups! I have several upcoming dates here in the states with John B, Deekline, and Baby Anne, as well as my monthly residencies. No overseas trips planned at the moment...Any promoters interested? A big question now . . . not musically related but very very important! Footwear. What’s the coolest pair in your footlocker at the moment? I’m a big fan of the slip-on DC’s, as well as the Puma Roma’s…I think I own almost every color stripe they make lol. And finally . 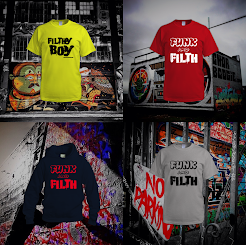 . . Funk or Filth . . . . musically which way are you feeling right now? Both! My roots will always be funky, but I’m a big fan of the Filth and try to incorporate both into my music! Click here to check out where you can expect to see DJ Aaron Sigmon playing near you. Happy Monday everyone! Funk and Filth here to brighten your mood and get you going for another week . . . and with the help of a certain Elite Force we have 3 great reasons why this should be a very Happy Monday! 1. His set on Rough Tempo last week was, as you would expect, epic! And here it is for free download. Thanks mate! 2. He is four tracks into an 18 track free EP of big big tunes, which he is releasing as one tune a week, for free download. Click here to get involved. 3. Tickets for the Elite Force Boat Party 2012 go on sale THIS WEEK! Last year's party was off the hook, mental, amazing, and Shack promises some big guests this year. Check www.eliteforcemusic.com for ticket details. And there you have it. 3 reasons to be happy this Monday. Courtesy of Elite Force. Big hugz. Calgary, Canada. Home to just over a million people, some breathtaking scenery . . . . and one of the most exciting new labels around! Breakz R Boss were nominated for the Best New Label award in the 2012 Breakspoll awards, but narrowly missed out on taking the prize, being beaten by Diablo Loco Records on the night. Regardless of this, Breakz R Boss are a factory responsible for churning out beat after beautiful beat, and funky/filthy basslines that can be felt all the way across the pond. Their roster is far too long to detail in full here, but includes some seriously crowd-pleasing Canadian and global names, including Kyle Cross, Dave Dialect, Metachemical, 8*Bit, Kraymon, F-Word and several billion more dangerously talented beatsmiths. 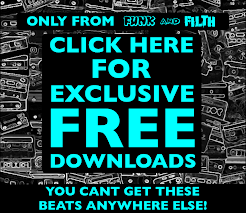 Check below for more free downloads than you can physically fit into your face . . . there are some absolute nuggets in here! ‘Rock You Like A Hurricane’ the Dave Dialect Bootleg comes highly recommended! Cheers Breakz R Boss! Have a Funky Friday everyone. 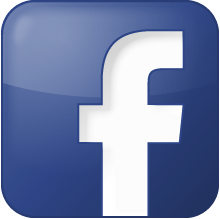 Click to Like Funk and Filth on Facebook. 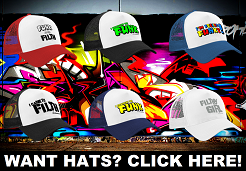 Click to Follow Funk and Filth on Twitter. Abba, Volvo, Smorgasbords, Freddie Ljungberg . . . Things that come from Sweden are often a little bit out of the ordinary, but normally bloody good too! And the same can certainly be said about Peo de Pitte. His beats are tight, his bass is persistently deep and when he steps up to the decks you know the night is about to go up another level! Having seen him laying it down aboard the Elite Force Boat Party last summer, and survived what fast became a BIG night, I can attest to the fact that a Peo de Pitte set is one you cannot help but get involved with on the dancefloor! When he’s not destroying dancefloors, or devoting studio time to generating his own stomping tunes, Peo puts in some top notch remixing duty. His locker is overflowing with monsters, such as remixes of breaks anthems ‘Babylon’, ‘Crazy Love’ and Sidney Samson’s ‘Riverside’ . . . have a listen to the free downloads below and find out why he is a man in high demand! First the good news. Our favourite afro'd dude Benji Boko has done a fan-flipping-tastic remix of Fatboy Slim’s ‘The Joker’! Bonza! Now the bad news. He’s not allowed to release it to us until he gets permission from Fatboy Slim. Bad times. But hold on a sec, there’s more good news! You can help! We all can! Share this taster video of the remix via any way you can: Facebook, Twitter, YouTube, MySpace or, on the offchance that you A) own a projector and B) live down Norman Cook’s road, you could even project it onto his house in 40-foot high technicolour glory! Whatever your preferred method, please share this video. . . we all want to hear the finished article! Click here for some free Benji set downloads. Superstar DJ, Brighton boy and filth-monger extraordinaire – meet High Rankin. Musically filthy and genuinely hilarious (check out his blog), his discography is comprised of big beefy rumblers with either x-rated or downright inexplicable titles. His mind, as far as I can tell, is comprised of melted cheese, four letter words and a partially used hairnet. When he’s not churning out his own dubstep/drumstep/drum and bass filth, he’s managing or remixing for other equally tasty artists on the label he founded, Suicide Dub. Unpredictably brilliant and encouragingly mental, he’s certainly a character, and his tunes rock. Help yourself to his free downloads below to find out!